In a context challenged by extensive poverty and on-going reconstruction of the economy, the donor parties have chosen to devote considerable effort to sustainability and modernization of public finances in Cambodia. In cooperation with Cambodian officials as well as the Asian Development Bank and the World Bank, Expertise france (former Adetef) assigned a high-calibre group of experts to work with the Ministry of Finance. In June 2009, a seminar on modernization of budgetary practices was held in Phnom Penh, followed in March 2010 by a second seminar on modernization of finance inspection standards. The success of these events, in keeping with the priorities of Cambodia’ Public Finance Management Reform Programme, are—with the signing on June 9, 2010 of a technical cooperation agreement between Expertise France and the Ministry of Economy and Finance of the Kingdom of Cambodia for the 2010–2012 period—a lever for expanding Expertise France’s activities in the kingdom. This FSP began in July 2005 and concluded in October 2008. It focussed on upgrading training and capacity building in the Ministry of Finance. At the request of the Laotian side, Expertise France (former Adetef) undertook further activities up to July 2009, in particular with the State Audit Office (equivalent to the French Cour des comptes) which, starting in 2007, received four training sessions conducted by French audit office judges. A delegation from the Laotian National Assembly went to Paris where it was received on March 2, 2009 by the first chairman of the Accounts Office, Mr. Philippe Séguin. 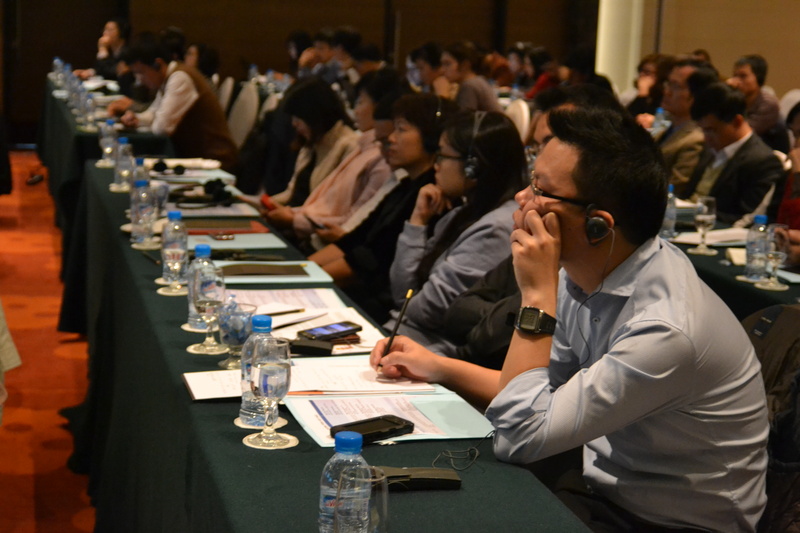 These training sessions were attended by members of the State Audit Office, as well by staff from the inspectorate or internal audit wing of various ministries (Defence, Finance) and administrators from the Laos National Assembly’s Finance Commission. The Regional Office of Expertise France in Asia maintains close ties with Laotian officials in the Ministry of Finance and the donor community in order to best meet their expectations in the areas of public finance reform and skills development. The French and Vietnamese ministries have been promoting sustained bilateral cooperation for nearly 18 years now. Programmes are designed to best meet the expectations of the Vietnamese authorities. The bottom line is to draw upon French expertise in the fields specific to our administrations: financial control, internal audit, corporate tax audit, initial training and career development, efficiency testing, tax evasion control, information technologies, consumer protection, etc. Since 2004, cooperation is steered under the terms of a “Three-year Cooperation Agreement” (extended in 2007 and 2010) that sets out our common directions, outlining the funding rules and concrete operational procedures. On this basis, a “Directions Document” is generated that spells out what is to be undertaken in each field of cooperation, tailored to the particular French or Vietnamese department involved. The “Directions Document” for the next three years was signed on March 1, 2011 by Tran Xuan Ha, deputy finance minister, and Yannick Richet, former Expertise France’s Asia director. Expertise France implements other cooperation projects through competitive bid calls in the field of economic governance. This results in its partnering up with other national and international institutions, including the European Union, World Bank, Ministry of Industry and Trade and Ministry of Natural Resources and Environment. Seminar on Climate Change Expertise France - AFD in Hanoi. Study visit to France of the Directorate General of Vietnam State Treasury.